There’s been a lot of buzz about seasonal load restrictions lately. No wonder – it’s spring! So, we thought the best way to address some of the weighty details and clarify myths is by chatting with one of our own: Val Hunsaker. 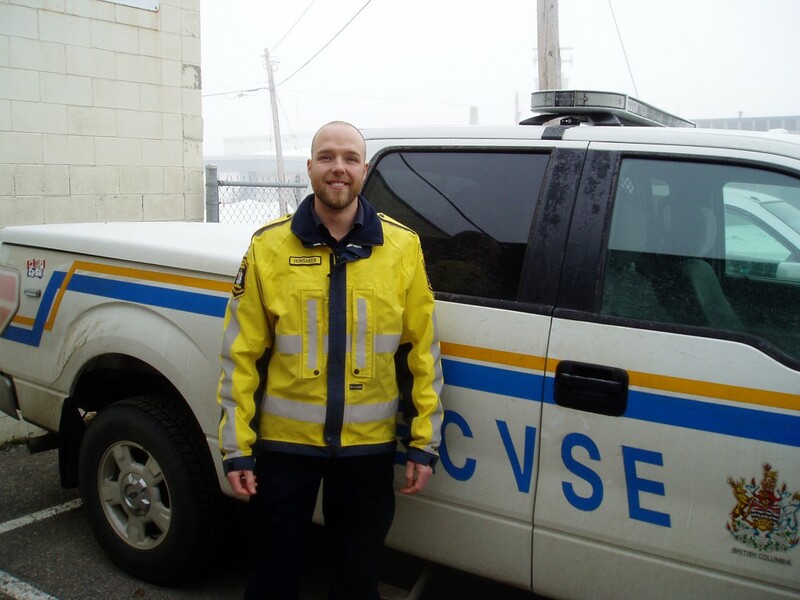 Val is the Fort George District CVSE Manager, based in Prince George. TranBC: Why are seasonal load restrictions important? Val: Seasonal load restrictions are put into place to protect our roads from damage or failure during the spring when the winter’s frost is thawing and the snow melt and rain have saturated the road base material. Damage done to roads is usually deeper than just on the surface and can end up costing hundreds of thousands, or potentially millions, of dollars to repair. TranBC: What are the top three misconceptions, or myths, about seasonal load restrictions? Val: OK, let’s start with myth #1: Load restrictions start and end at the same time every year. In reality, road restrictions are completely based on road strength, which is directly affected by the weather. A long, cold winter will cause them to start later, and a cold, wet spring may require more time than normal for the road base to dry to full strength. On the other hand, a warm, wet spell during winter may cause an earlier start. When the roads are constructed, probes are buried into the road base at different depths so we are able to monitor the temperatures and know when the frost has melted far enough to warrant restrictions. We’ve even had to implement road restrictions in the fall when we’ve experienced excessive rain and the road base material became weak from water saturation, causing an abnormal condition requiring an abnormal road restriction. On to myth #2: It’s freezing at night and the road is frozen on the surface… so, we should be able to haul full loads. It’s very common in the spring to have freezing overnight and thaw during the day. Sometimes we’ll allow night hauling at 100% from 10pm to 10am, for example, when the road still has a majority of frost. But, most the time, the amount of frozen surface developed during the evening freeze is too thin to support traffic; it may support one or two vehicles at full weight, but damage is inevitable once the frozen surface fails. And finally, myth #3: The road is dry so road restrictions shouldn’t exist. The surface of the road may be dry, even dusty, but this is just a thin crust on top – the road base material is still weak. The ministry uses a Benkelman Beam truck to test the road strength. The “Beam Truck,” as we call it, measures the deflection of the road and rates the strength, allowing us to know when the road is actually ready for full loads again. TranBC: What frequently asked questions do you get? Val: Well, one popular question is related to myth #1: when are road restrictions starting and ending? This question is hard to answer. It all depends on a number of variables: the geographic area, the road construction and, most importantly, the weather. Weather and frost conditions control road strength, and since weather is not consistent, either is my answer! Science, using frost probes and the beam trucks, is used to determine when a road needs restrictions. Another common question is: do road restrictions apply to all vehicles? The answer is, no, they don’t apply to vehicles with a licensed GVW of 5,500 kg or less, school busses, vehicles operated by the ministry or its maintenance contractors. This allows us to respond to essential maintenance and emergency situations, and is particularly important because road restrictions are generally in place at the same time as spring freshet, which can cause floods, mudslides, landslides and rockslides. We also get asked what 100%, 70% and 50% load restriction mean? Road restrictions are all based on legal axle loading as defined in the Commercial Transportation Act & Regulations. 100% means you can still carry legal axle weights, over weight permits are no longer valid. For example, legal weight for a tandem axle group is 17,000 kg, 100% load restriction is 17,000 kg, 70% load restriction is 11,900 kg and 50% load restriction is 8,500 kg. TranBC: Are there fines for disobeying load restrictions? Val: Yes, there are violation ticket fines ($345). And if the road was found to be damaged, the ministry may seek to recover cost of the repairs from the offender. 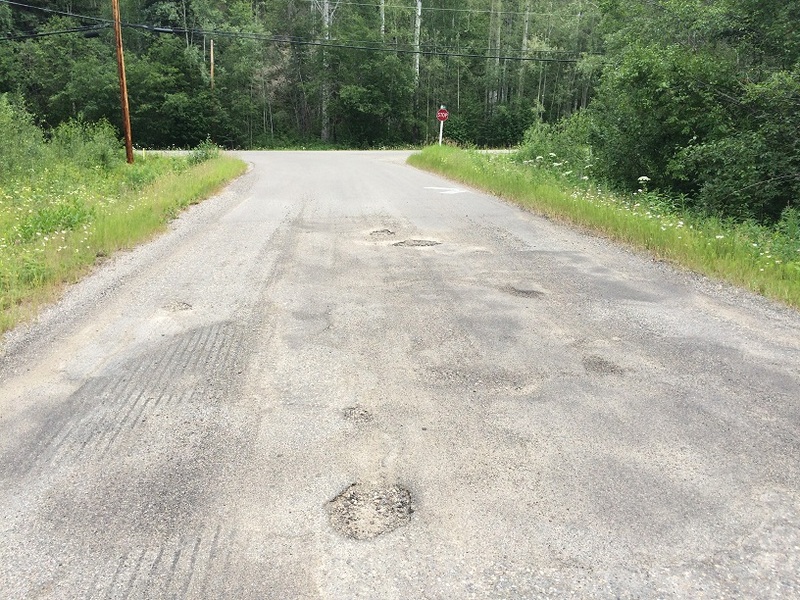 TranBC: Have you ever seen damage caused by a violation? Val: Yes, every year we have roads damaged by vehicles disobeying road restrictions. TranBC: How do you suggest commercial truck drivers stay up to date on restrictions affecting them? Val: All road restrictions across the province are on DriveBC.ca via the seasonal road restrictions tab. Drivers can even subscribe for alerts pertaining to their routes. Another option is to get information at any of our inspections stations, or call the ministry office in your area. Also, the majority of roads will have a sign posted at the beginning indicating the restriction. Do you have a question about seasonal load restrictions that wasn’t answered? Send it to us below. No, food, water and sewer services are not exempt from seasonal load restrictions. We sent your question to the good folks in the CVSE and they let us know that information on the vehicles that are exempt from seasonal load restrictions can be found in Section 3.9.2 of the Commercial Transport Procedures Manual. Unless the bus has a GVW of less than 5,500 kg, or is a school bus operating under a CVSE School Bus Permit, you will be required to comply with whatever restrictions are in place on provincially owned infrastructure. The “legal axle loading” for a bus can be found in Appendix B of the Commercial Transport Regulations. Is there any exemptions for agricultural regarding road bans? Agricultural vehicles are not exempt from seasonal load restrictions, but farmers may contact the District Highways Manager for their area to request an exemption. Information on seasonal load restrictions, as well as the type of exemptions District Highways Managers may consider, can be found in Section 3.9 of the Commercial Transport Procedures Manual. Is there a GIS data source or web map for the same information? I appreciate that there is a textual notification, but am hoping there is a visualization available as well. Unfortunately, we don’t have spatial information on Seasonal Load Restrictions. Sorry about that and thanks for connecting with us. is there a document from BC transport for heavy euqipment capacity for axle weights by season?